Words matter. Their meanings matter, and we have to be able to call a spade a spade. 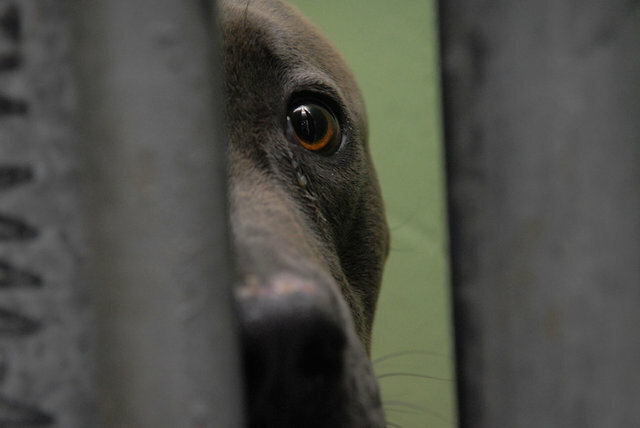 Right now, at this very moment across the country, hundreds of healthy or treatable pets are being killed in shelters. In fact, 9,000 animals will be killed today, 9,000 tomorrow, and 9,000 again the next day. They are not being euthanized: They are being killed. It may not be comfortable to say, or to hear, but we have to be able to speak the truth and call it exactly what it is. At Best Friends, we strongly believe in the difference in the meaning of the words "euthanasia" and "killing" Here's why. At our sanctuary and in many programs around the country, euthanasia is defined purely as an act of mercy. This act should be reserved for animals who are suffering an irremediable medical condition and a veterinarian determining that there is no chance of the animal recovering an acceptable quality of life. In a municipal shelter setting, those animals whose aggressive behavior is genuinely too dangerous for him or her to be a candidate for rehabilitation and rehoming can be added to that list. This is very important. All too often, when I tell people that I am a co-founder of Best Friends Animal Society, an organization dedicated to the no-kill movement, they say something like, "No-kill - so that means you don't put suffering animals to sleep?" No! That's not what it means. It means that we stand for the idea that lethal methods should never be used as means of pet population control or to make a shelter's operation more manageable. We must never lose sight of the fact that with advancements in behavioral and medical care for animals, the vast majority of animals in shelters can, and should be, saved. The only shelter animal deaths that can be called euthanasia are those for whom it is a true mercy. No healthy or treatable animal should be killed in a shelter when alternatives exist to save them. We consider it killing when a dog or cat's life is ended to make space for incoming animals, or for some other consideration, such as treatable medical conditions, or age, or because it might be a special-needs adoption. Understandably, it is caring shelter workers who are often the most proactive and vocal in trying to bring at-risk dogs and cats to the attention of the public and rescue organizations. These shelter workers often take sheltering jobs because they love animals, so when tasked with the job of ending the life of a healthy or treatable dog or cat, these caring people are subjected to significant trauma. However, calling "killing" by the more palatable term "euthanasia" doesn't make those shelter workers' jobs less burdensome or the needless taking of a life easier to bear. Softening the language is also an insult to the memory of such animals by suggesting that their killing was somehow a kindness or a necessary evil. Those lives matter. Such deaths are a measure of a collective social failure that the no-kill movement seeks to correct. I've said it before on the Best Friends blog, but I'll say it again. It may not seem so to the casual observer, but no-kill is a radical notion in that we are proclaiming, unambiguously, that a life is a life and that killing homeless pets is wrong not by virtue of their special relationship to humans, but because their lives have intrinsic value and they are not our lives to take. I know that this type of language can be painful to some, objectionable to others and fighting words to others still, but what's the point of playing make-believe to protect our feelings when it comes to the lives of homeless pets? Let's all work together to make this practice a relic of the past, but we can't pretend that taking the lives of homeless pets when alternatives exist to save them is anything other than killing.